Mariann Carrasco is one of the scientists based in our Cetos Pacific Office in Washington. 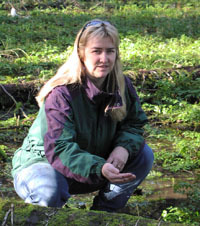 She has 28 years of experience in the fields of resource and wildlife management, and also in wetlands assessment. She has a bachelor’s in wildlife management and has performed post-graduate work in dolphin communication. She specializes in wildlife management as it relates to human-produced impacts and adds that skill set to Cetos’ goal of assessing disturbance to marine wildlife. Mariann’s additional technical specialties include natural resource management, environmental planning, and wildlife-related database management. Lately Mariann has been following her lifelong dream of working with marine mammals, ever since her graduate days in the 1980s with dolphins. She started the Whatcom County, WA Marine Mammal Standing Network in Coordination with National Marine Fisheries Service, and is doing rehab work with a variety of animals including marine mammals. She also has been conducting informal surveys of marine mammals around the San Juan Islands off her boat with her husband and leading wildlife tours of the area. She hopes to become more involved in marine mammal research as time goes on. Mariann’s skills in conducting and supervising field surveys, producing and assessing data, compiling reports, and her recent work with marine mammal strandings all support Cetos in our ongoing efforts to study marine wildlife and contribute to the conservation of species. Shannon Coates has always had a passion for the ocean and the marine mammals that reside there. She received a Bachelor of Science degree from San Diego State University (SDSU) in 2011. 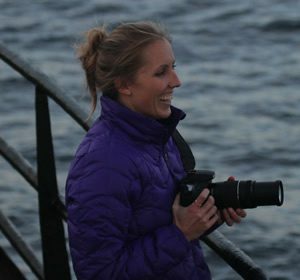 In May 2010, during her undergraduate studies at SDSU, Shannon became a research assistant analyzing minke whale calls from islands in the tropical North Pacific. During that same year, she interned with Southwest Fisheries Science Center characterizing high frequency echolocation clicks recorded from Dall’s porpoise. After graduating, Shannon became a senior field bioacoustician and a data analyst, roles that she continues to fulfill today. Shannon joined Cetos Research in 2013 as a research assistant for the Humpback Behavior Project focusing on the interactions between mother and calf pairs. Shannon has participated in numerous vessel-based visual and acoustic towed array surveys, assessing the abundance, density and distribution of marine mammals throughout the world. 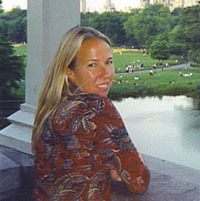 These included locations such as the Gulf of Mexico, the Mariana Islands, the Pacific Northwest, the South Pacific and the California coast where she worked on research projects including observing and tracking southern resident killer whales, beaked whales, false killer whales and sperm whales. She has served as lead acoustician and marine mammal observer on both large vessels and small boats. When on land, Shannon is involved in a variety of data analysis projects focusing on odontocete vocal characteristics. Shannon has co-authored several scientific reports and a peer-reviewed publication on beaked whale click characteristics. Dan Dendanto is on the Cetos Scientific Advisory Board. He received his Masters Degree in Zoology in 1998 from the University of Maine. He has studied genetics of finback whales in the North Atlantic Ocean, and has done habitat and foraging studies of baleen whales. His background includes being a senior field scientist at Allied Whale and a research associate of the College of the Atlantic. Dan has assisted Cetos in previous years in the field in Kaua’i and Maui. On other fronts, he is an expert at marine mammal skeletal articulation as well as on the preparatory design of specimens for museums and scientific collections. Christine Loftus is our Geographic Information Systems (GIS)/Remote Sensing analyst. 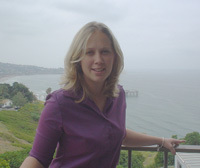 Christine has worked on various areas of geography including land-cover analysis, public transportation, and most recently, in the marine environment. She is especially keen about biological mapping of the oceans, particularly marine mammals and the variables that influence their distribution and abundance. Christine’s latest projects with Cetos involve mapping cetaceans encountered from our vessel-based surveys in the Hawaiian islands (the islands of Kaua’i, Ni’ihau and O’ahu). Through Cetos she also provides GIS support to NMML for Dr. Brad Hanson’s research on killer whales. Her work is key to Cetos with regards to presentation of our data findings, for example most recently, presentations that we have given at the Society of Marine Mammalogy meeting in San Diego (December 2005), as well as at the Ocean Sciences Meeting in Honolulu (Feb. 2006). She also recently completed analyses (plotting sightings on tracklines and doing geographic projections) for mapping killer whales for Dr. Hanson’s killer whale surveys in the Pacific Northwest. Christine currently lives in Hawaii and enjoys spending time in the ocean surfing, snorkeling, biking, and hiking. Liz Ferguson is involved in both the education and scientific components of Cetos. Her primary interests lie in the education of conservation efforts and scientific explorations undertaken by Cetos, with a focus on middle and high school curricula development. She is currently working on the development of educational materials that highlight minke whale research off the Hawaiian Islands. This curriculum is intended for distribution and use in Hawaii’s middle school science classes to help students gain a better understanding and interest in their local marine ecology. As a field biologist, she primarily studies marine mammal bio-acoustics and ecology. Liz has spent several months a year at sea on large research vessels affiliated with government and university sponsored projects. Liz works with Cetos analyzing acoustic data that we have collected, sounds from different marine mammal species from various projects. Most recently her work involved analyzing calls of minke whales around the Hawaiian Islands, and also analyzing orca calls from the Pacific NW. Liz lives in San Diego enjoys the beach and other outdoor activities.